Our goal is to connect people with the best local experts. We scored carpet cleaners on more than 25 variables across five categories, and analysed the results to give you a hand-picked list of the best carpet cleaners in Arlington Heights, IL. Kleen Masters, Inc. is a family owned business established in 2004 in Rolling Meadows, Illinois by Richard Pankratz. Richard is a highly qualified professional carpet cleaning technicians who claims over 35 years of experience in the industry. His business is a fully insured service provider offering free estimates and affordable service packages to clients of the Rolling Meadows area. Benefits of choosing Kleen Masters include exceptional cleaning treatments of carpets, upholstery, or mattresses along with complimentary items such as free bottles of stain remover and complimentary shoe booties after cleaning to help customers keep their carpet area clean after being serviced. Clients can fully experience the wonderful services that the company has to offer by scheduling a service consultation and taking advantage of promotional sale discounts online. Magic Carpet Pride has earned an excellent reputation for its high standard of cleaning. Local people are quick to praise the professionalism and diligence of the staff here, and they are also pleased with the quality of the customer service. The experts at the company take on carpets, furniture, area rugs, tile, grout, marble, granite, pet odor removal, and water restoration projects. They will also undertake VLM cleaning, wood floor renewal, and mattress cleaning, as well as upholstery and drapery cleaning. The firm is so confident of the quality of its work that it guarantees 100% customer satisfaction. People are encouraged to get in touch for a free quote, and they can expect a free bottle of professional spot cleaner with every service. Magic Carpet Pride is a member of the Carpet & Rug Cleaners Institute of Illinois. Maverick Cleaning Services offers domestic cleaning services to Wheeling, IL and surrounding communities. The products and processes are environmentally safe, and they use the most advanced fabric protection available. Services include steam cleaning of carpets as well as wet or dry upholstery cleaning. They also specialize in care for delicate fabrics and offer leather cleaning and conditioning. Spot calls are offered to take care of a small area that needs extensive attention. They also provide mattress cleaning services that kill bed bugs, and they offer solutions for storage and cleaning of outdoor furniture. They focus on education through their website to provide immediate knowledge to customers in case of an accident or emergency. They also are available through email to answer any questions about what to do when something unexpected happens. MBM Services has been providing top-notch housekeeping and janitorial expertise to clients in the Arlington Heights area for more than 25 years. The fully licensed and bonded company specializes in delivering cutting edge services that leave commercial offices and medical facilities looking and smelling clean. The experts at MBM Services design custom, high-quality cleaning solutions tailored to meet individual client needs and budgets. Customers with the highest standards trust the family-owned business to offer affordable cleaning programs that restore dull carpets of all sizes to like new status. MBM Services employs highly trained, experienced staff to deliver top-notch services that consistently exceed client needs and expectations. The business ensures quality by using state-of-the-art equipment and cleaning agents to achieve outstanding finished results. Midwest Carpet Care is a carpet cleaning services provider located in the state of Illinois and serving communities in the region. The fully-insured company offers professional carpet cleaning service to residential clients, and all technicians are IICRC certified. The pricing for service comes at a flat rate with free estimates, no hidden fees, and no minimum charges. 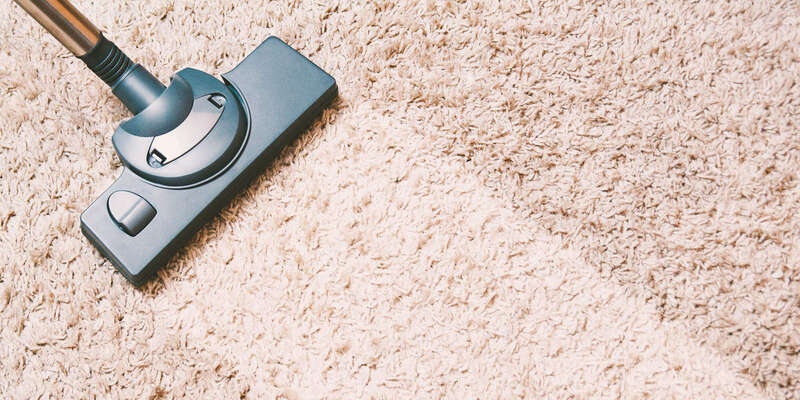 Midwest Carpet Care knows that a simple, occasional vacuuming can't get the job done. They offer deep-down, four-step cleaning solutions to remove the undesired remains in a customer's carpeting that they can't always see. Afterwards, the cleaning technicians will do a post-job inspection and review the job with the customer to make sure it was done to their satisfaction. Midwest Carpet Care wants all of its customers to feel fully satisfied and love their carpet again. North Shore Dry Carpet and Upholstery Cleaning provide professional cleaning services to residential and commercial property owners in and around Chicago's North Shore. They have more than 20 years of experience, and they're certified and insured. Services offered include carpet cleaning, pet stain removal, area rug cleaning, and upholstery cleaning. They respond quickly to emergencies because they recognize how problems can get worse if not dealt with promptly. They can also clean air ducts, tile, and draperies onsite. Estimates are free. Customers report that they respond quickly, show up on schedule, and work tediously to get stains out of carpets. On Your Spots Carpet Cleaning, Flood Cleanup and Water Damage Restoration is a carpet cleaning company located in Buffalo Grove. Certified technicians can remove most any spot and stain, start with the enzyme-based cleaning agent called Grand Slam™, can tend to tougher red and pet stains as well, and only use eco-friendly solutions that are safe for kids and pets. Clients also hire the team for area rug and upholstery cleaning, pet stain removal services, Scotchgard applications, emergency flood cleanups, sewage backup services, water removal, and flooded basement cleanups, and full water damage restoration services are also available. Potential customers can contact the group via its site for a free estimate and can also check the company's "unbeatable guarantee" online as well. Pinnacle Carpet and Upholstery is a team of enthusiastic and dedicated carpet cleaning experts that use the natural power of steam to transform homes and businesses. Dirt, spills, animal dander, and pollen are only some of the many contaminants that can get embedded deep into carpet fibers and pollute indoor air, irritate allergies, and even encourage mold and bacteria growth. The company’s powerful steam cleaning technology blasts away dirt and grime and kills harmful pathogens that can make families sick, all without harsh, smelly chemicals. Steam cleaning service is available for all kinds of carpets, as well as upholstery, tile, and grout, and customers can purchase air duct cleaning to remove even more nasty particles for fresh, sanitized air. Home and business owners can call or contact the company on the website to get price quotes and schedule service. Pinnacle Carpet and Upholstery is a contractor in Deerfield that offers floor and furniture fabric care. The company only uses the best equipment and supplies available, and it takes a systematic approach to removing unpleasant smells and harmful particles from the surface. The establishment takes pride in its trained, experienced, and thoroughly checked personnel, and some of the tasks are pre-treatment inspection, steam extraction, and deodorization, and post-clean walk-through. Pinnacle Carpet and Upholstery also performs air duct cleaning, and it welcomes residential and commercial projects of any scope. The shop has a 24/7 action unit that responds to flood emergencies. Protector Flood Restoration is a professional restoration and cleaning company serving the community of Chicago, Illinois, and the surrounding area. Established by Bill Boyd, Protector Flood Restoration specializes in water damage restoration and carpet cleaning. They provide a range of services including carpet repair, water damage restoration, odor control, sanitizing, and carpet cleaning and reinstallation. They also use advanced technology such as rapid structural drying with the Electric Thermal Energy System (E-TES) and thermal imaging devices to show water flow patterns. Protector Flood Restoration also offers 24-hour emergency restoration services. Customers recommend this company for their high-quality service and professionalism. The Galaxy's Finest Carpet & Upholstery is a locally owned and operated carpet cleaner that has been serving the greater Chicago, Illinois community since 1989, specializing in carpet and upholstery cleaning, mattress cleaning, and home fogging. The Galaxy's Finest Carpet & Upholstery is also renowned for their expertise in oriental rug cleaning, using state-of-the-art technology and cleaning products personalized to your specific fabric needs. The Galaxy's Finest Carpet & Upholstery offers free service quotes over the phone, as well as monthly discounts and coupons. 24-hour emergency flood service is available, and customers describe The Galaxy's Finest Carpet & Upholstery as being punctual, professional, and reliable. Totally Clean, owned and operated by Tim and Kevin Willis, is located in Wauconda, Illinois and provides professional cleaning services to the Lake, McHenry, and Cook Counties of Illinois. Their services come with a 100% satisfaction guarantee, and in-home price quotes are always free. They use only natural cleaning agents that are safe for children, pets, and the environment. Their services include carpet cleaning, tile and grout cleaning, upholstery cleaning, and area rug cleaning. They also offer to apply deodorizer, carpet protector, urine odor enzyme disinfectant, area rug pads, and oil-based upholstery protector. Pricing guidelines are listed on the website. UCM Rug Cleaning is a carpet cleaning company that has been serving the Chicago area for more than 10 years. They use non-toxic biodegradable cleaning solutions that are safe for pets and children and would like customers to know that they use the latest cleaning methods available. UCM Rug Cleaning offers a variety of services including steam cleaning, shampooing, stain and odor removal, and disinfecting. They also offer antique rug cleaning, Persian and handmade rug cleaning, furniture cleaning, and wood floor refinishing and repair. UCM Rug Cleaning takes care of water and fire damage and currently offers free estimates online. They have received positive feedback for their friendly, swift service.